3124 Clifford Street – Amazing house available NOW! 4-bedroom, 4 full bathrooms, 2 half baths, finished basement, ROOF DECK, and off-street parking! 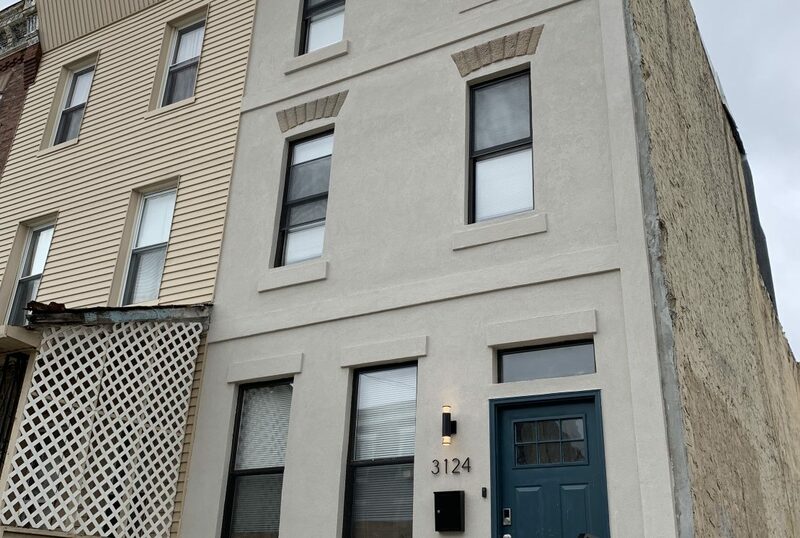 Located in the up and coming Brewerytown section of Philadelphia, this brand-new house has everything you need and want! Walk into a huge open living space that flows very nicely into your brand new eat- in kitchen! With hardwood flooring throughout, this space truly has that sleek, modern look. Your kitchen features a large kitchen island, granite counter tops, and plenty of cabinet space. Enjoy hosting dinner parties with your brand new stainless-steel appliances including dishwasher, gas stove, microwave and garbage disposal. The basement has been finished with plenty of room for storage or can be used as an additional living space or bedroom. The second-floor features two full bedroom suites, each with their own private bathroom and plenty of closet space, and a half bath in the hallway. The third-floor features a wet bar before heading to your ROOF DECK and two full bedroom suites with private bathrooms! There’s more! Take a step up towards the custom ROOF DECK!! DON’T FORGET! ENJOY PARKING OFF-STREET IN YOUR REAR DRIVEWAY! Call now to book your showing! -4 Bedroom suites w/private bathroom!